The Nissan cube has made quite a name for itself since its release. The funky, boxy car has created quite a following of fans that have been waiting patiently for the release of the 2012 version. Nissan has released the details on the unmistakable cube available now at dealers nationwide. The Nissan cube is famous for its box frame, asymmetrical rear window, refrigerator-like rear door and unique interior. Fans of the Nissan cube will enjoy the 2012 edition of the 1.8 S Indigo Limited Edition cube. With Indigo colored seats, Nissan Navigation System, Rearview Monitor, a bumping Rockford Fosgate audio and so much more, drivers will love this special edition cube. The 2012 cube comes in three different trims: cube 1.8, cube 1.8 S, and cube 1.8 SL. The cube is front-wheel drive and is powered by a 1.8-liter four-cylinder engine that attains an efficient 31 mpg highway. The cube is not for the shy and not for everyone. The unique style has a special niche for Nissan fans. With safety as the number one priority for Nissan, Nissan engineers are constantly working on developing the latest in technology to better protect its passengers. The roads are the safest they have ever been with the lowest fatality rates to date. Small cars were thought to be unsafe but recent technology and advancement has made subcompact and compact cars more attractive for their safety as well as their bottom line. Forbes decided to put a list of the best vehicles for under $20,000 that are the best picks for safety. These vehicles are able to overcome the stigma of small cars being unsafe and provide passengers a safe ride. 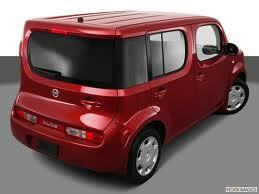 The Nissan cube was named one of the nineteen vehicles for being the safest while having a price tag under $20,000. The Nissan cube is such a distinct vehicle for style but with its great safety as well, should continue to attract new owners. Congrats to the Nissan cube! Check out the Forbes complete list!